If you’re planning a fun weekend trip, the Gold Coast offers all the elements to make sure you are spoilt rotten by fantastic views, food, long drives, drinks and sensational experiences. 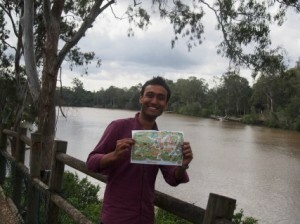 We landed on a Friday night and the informal city atmosphere with clubs and friendly young crowd all around ensured that we were looking forward to great times ahead before catching a train to Brisbane later that night. Info for geeks: Since it was a long journey, we started playing around with the limited free internet and figured out that the authentication was MAC based. Although we didn’t misuse it to get unlimited internet, it’s always fun to hack (not crack) into things. 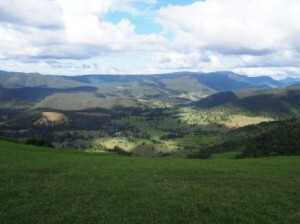 I was travelling to Brisbane to catch up with a friend I met in Taiwan. 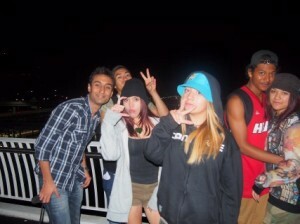 We took the ferry ride to have a glimpse of the city’s night view before heading to spend the night at treasury casino. As they say travelling is all about meeting new people and making new friends, I met a psychology major student who gave an amazingly accurate description of my personality by asking me questions about my choices and later showed us a way to get free drinks at the casino. 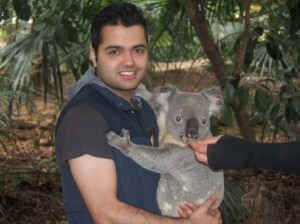 Next day, we explored Lone Pine Koala Sanctuary, the world’s oldest and largest koala sanctuary. 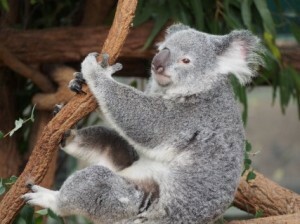 This Koala sure knows how to pose! 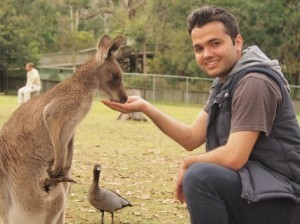 Other attractions were the Tasmanian devils, kookaburras, emus and the friendly (hungry) kangaroos. 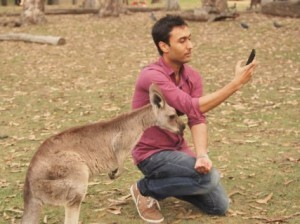 Kangaroos were friendly enough to pose for selfies and patient enough to Skype with my mom and friends. Right after that, we drove off to the highways to camp overnight. Reaching the campsite at night, drenched but excited, we managed to put up the tents amidst the rain. 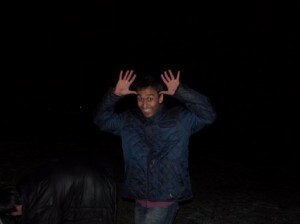 This is what I was up to when my friends were busy fixing the tent and preparing the barbecue. It was a perfect chilly winter morning with riverside camp, great friends, chirping birds and cheerful children around, we had to head off to the Surfer’s Paradise at Gold Coast stopping by Springbrook National Park on the way. Surfer’s paradise, as the name says is a great place for water lovers. 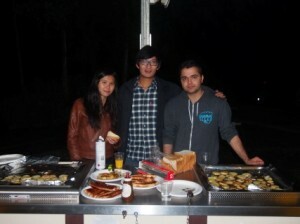 As the long weekend came to an end, we visited our German friend who was in Gold Coast for an exchange program. 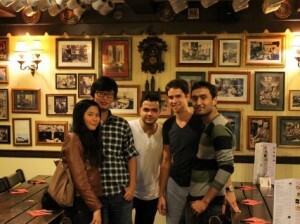 He took us to Bavarian Hauz, one of the most authentic German restaurants, a must visit place for food lovers. 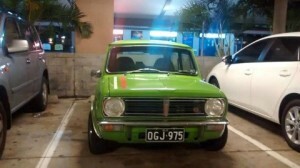 One last thing we discovered during the trip, was this car that we chased in the parking lot as it resembled Mr. Bean’s Mini. 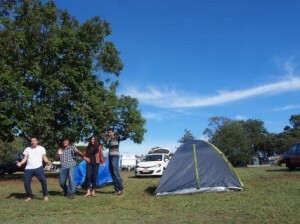 Now when I think of it, most of the things we did while camping were not more sensible than Mr. Bean. However, for some reason this car pretty much sums up our Brisbane experience.